While Bitcoin’s price has been in a bit of a slump for most of the last year, there has been no shortage of good news regarding the cryptocurrency. If you’re like a lot of former hobbyist miners and Bitcoin enthusiasts, you may have even begun to tune out. Well it might be time to start paying attention again, as a host of new developments may make Bitcoin and the growing world of cryptocurrencies and mobile banking highly relevant. Bitcoin’s price is down and its exchanges seem to continually face trouble. However, there have been major developments. From sidechains to massive retail adoption, Bitcoin and others are making the kind of forward progress necessary for wide adoption (slow and steady wins the race). Bill Gates has never been one to shy away from making bold predictions, and this year is no different. This year’s annual letter from the Bill and Melinda Gates foundation addresses four major areas of worldwide concern: health, farming, banking, and education. Their annual letter is definitely worth a read, and offers a much more uplifting vision of the future than you’re probably used to hearing through more traditional news media. Now that doesn’t mean that Bitcoin is necessarily what the Gateses have in mind though. The Gates Foundation has its own digital payments project, Better Than Cash. On the whole Bitcoin and related technologies are starting to get a lot of attention from larger players who see these technological advancements as possible solutions to global problems. In much of the developing world people do not have access to banking. As outlined in the annual letter, it is not a lack of assets or money, but rather the inability to use them due to a lack of banking that is keeping the impoverished poor. Given the massive adoption of mobile phones, digital payments could become the solution for banking in these countries. Bill Gates himself speaks to the potential and possible limitations of Bitcoin in the below interview from October, 2014. The Winklevoss brothers, who were famously featured in the movie The Social Network for their involvement with Mark Zuckerburg at Harvard, have been investing in and working on Bitcoin related projects for some time now. What’s new is their aim to bring a regulated Bitcoin exchange to American customers. Given the troubled history of Bitcoin exchanges this is welcome news to many in the community. Mt Gox, which had been the go to exchange since Bitcoin’s early beginnings (and coincidentally where I bought my first Bitcoin) famously faltered over the course of several months from late 2013 to early 2014, resulting in the disappearance of some 650,000 Bitcoins (several hundred million dollars at the time). Following MtGox’s fall, UK based exchange Bitstamp rose to prominence, being generally considered one of if not the top Bitcoin exchange. However, earlier this month Bistamp itself became the subject of a malicious hack that saw it lose some 19,000 Bitcoins stored in the exchange’s hot wallet. Bitstamp managed to deal with the problem relatively quickly and is now back up and running; a sure sign of improvement following the drama that unfolded at MtGox. Dubbed a ‘next-generation bitcoin exchange’, the Winklevoss Brother’s exchange, named Gemini, will only work with American banks. With the trouble we’ve seen in the past this could allay some of the fears that larger investors have when it comes to putting their money in digital currency. It could be a big plus for American investors who may have been burned by Bitcoin exchanges located outside of the United States. There are also numerous projects and companies building different methods to exchange paper currency for digital currency, including the decentralized Bitcoin exchange BitSquare and the payments/exchange platform Ripple. Sure, startups raise large sums of money from investors on a regular basis, so why is this any different? In addition to a number of longtime Bitcoin investors, this round involved some newcomers that we haven’t seen in the Bitcoin or digital currency space yet. While the funding round was led by DFJ ventures (Draper Fisher Jurveston) it also included the NYSE (New York Stock Exchange), USAA (United Services Automobile Association) a US bank available only to current and former service members and their families, BBVA a large multinational bank, and former Citigroup CEO Vikram Pandit. This round of funding is larger than any previous funding round by a Bitcoin company. While DFJ isn’t surprising given Tim Draper’s strong endorsement of Bitcoin, several others are. What we’re seeing here are major players in the financial world seeing Bitcoin not simply as an opportunity, but a legitimate space to invest in. This is the sort of thing Bitcoin fanatics would have only dreamed about even a short year ago. Coinbase has also been making gains with their product, now offering USD wallets in several US states and releasing updated and improved mobile apps. This latest round of funding from solid financial institutions is a strong endorsement of one of Bitcoin’s most successful startups. Coinbase’s funding, Bill Gates push for banking access, and a new Bitcoin exchange are just the latest developments in a trend of increased acceptance of and interest in Bitcoin and digital currencies from major players. It’s easy to forget that in the past year Microsoft began accepting and integrating Bitcoin, as well as Paypal through Braintree, Overstock, Newegg, and many more. But perhaps what is more telling is what we’re not seeing with Bitcoin. Once touted as the world’s largest distributed computing project, the glory days of hobbyist Bitcoin mining seem to have come and gone. Supply eventually caught up with demand and in the process many Bitcoin hobbyists were burned by shoddy ASIC manufacturers and under performing mining rigs. If Bitcoin is to regain some of it’s previous growth it will need to attract not just new users, but also past users that may have been burnt by any number of shoddy early Bitcoin businesses. From Mark Karpeles at Mt Gox, to Pirate40, to ASIC manufacturers like Butterfly Labs, early Bitcoin had more than its fair share of troubles. The latest round of developments signal significant growth in Bitcoin businesses, but not necessarily in its user base. For these businesses to thrive and grow, and for Bitcoin to prosper this will need to be addressed. The simple fact that Ross Ulbricht, who is purported to be the Dread Pirate Roberts ran Silk Road, is finding himself in a courtroom while Mark Karpeles who lost several hundred million dollars or his users money through Mt Gox has yet to, is evidence that Bitcoin still has scars which have yet to heal. 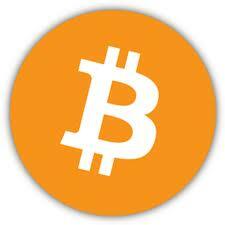 Even with all this though there is opportunity in Bitcoin and digital currency in general. The space is ripe for developers and other professionals as new companies backed by solid institutions look to build the next generation of products on top of and around Bitcoin. Now is exciting a time as any for Bitcoin.